Handcrafted in Canada. 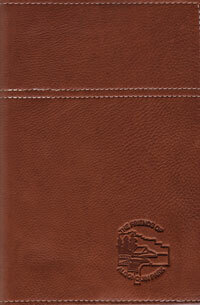 6" x 9" soft leather cover will fit any standard journal, day timer, photo album or address book of your choice. Lined 250 page spiral bound notebook included. Embossed with The Friends of Algonquin Park logo.